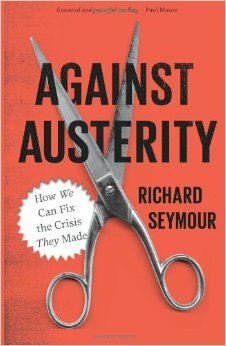 An angry yet clear-sighted analysis of austerity: what it really means, how it works, and, most importantly, who it benefits. Refusing simple indignation at the situation we find ourselves in, Against Austerity establishes a way forward for the Left to “build up the forms of organisation, the political nous, the ideological strategies and the theoretical resources to turn the tide” against austerity politics. In its conclusion (Strategy), Seymour offers examples of collective resistance that have succeeded, and how these might become part of future resistance(s). Essential reading. Taking the “wooden O” of the Renaissance theatre as its focus, Nardizzi’s work of “historical ecocriticism” links past and present in its exploration of scarcity (real and imagined) and the new resources on offer courtesy of European colonial expansion. The vital “material substrate” that is wood barely registers in early modern discourse until it rises in price or its perceived shortage makes it newly visible, a visibility Wooden Os traces through a brilliant combination of archival research, contemporary ecotheory, and theatre studies. 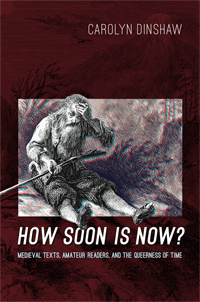 A transformative figure in medieval studies, Carolyn Dinshaw’s most recent book continues her project of rethinking pre and postmodern temporalities. Dinshaw’s introduction – which juxtaposes the close reading of The Smith’s song of her title, Aristotle’s Physics and Augustine’s Confessions – is characteristic of the expansiveness of thought that marks much of her work. Each of the following chapters weaves the close reading of a medieval text together with queer and postcolonial theory, an exploration of the role of a nineteenth or twentieth century “amateur” reader, and personal reflection on Dinshaw’s own life as a scholar of medieval literature. For Dinshaw, the now in which we live is not the apex of linear, developmental time, but is instead resolutely asynchronic: replete with opportunities for cross-temporal community, dense with possibility and difference, heterogeneous, queer.